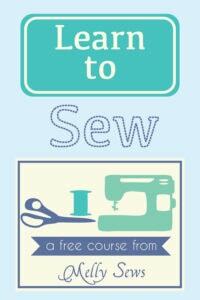 Hey y’all – today I’m sharing a free women’s t-shirt pattern. Introducing the Blanc T Shirt. 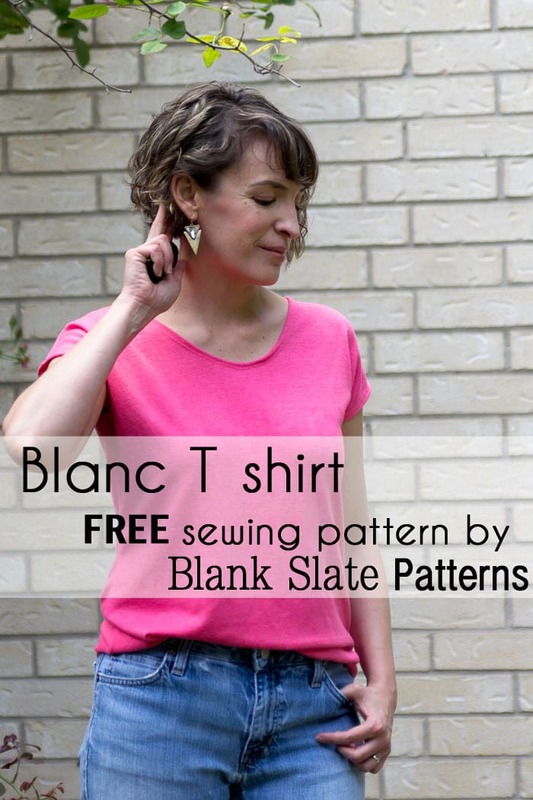 Learn more about the Blanc T Shirt here including a video. What a great basic tee. I love the fancy looking stuff, but I know I’ll never wear those things! Your stuff is perfect for my daily wearables, which is why I think I like it so much. Also, now that tax season is over, I can finally get back to sewing a bit again! Very nice little tee. Thanks so much! 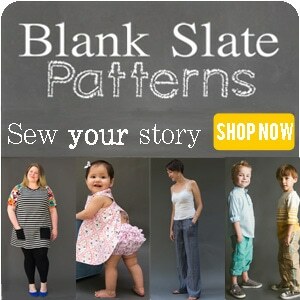 Thanks so much for sharing this pattern. I’ve never sewn knits before but truly can’t wait to try. What a cute top! Thanks so much! Thanks for sharing the pattern and the video! gorgeous cut. I think I’ll try it! Now there’s a shirt I could live in. It looks so soft I just want to curl up and take a nap in (or on) it! Fabric question: the instructions say to use “stretch knit fabrics only – jersey, interlock, stretch sweatshirt fleece, stretch French Terry knit, sweater knit, etc.” What type of fabric did you use for the lovely shirt you made? Hi Darlene: can you just lengthen the sleeves without creating all sorts of pulls.ripples? I too have ‘granny arms’ after losing 80 lbs, and I hate most of today’s fashions, so I’m having to resort to sewing my own clothing…hate doing that as well, but what else can one do…lol. I have a really great wardrobe which is now circus tent size on me…wish I had enough skill in garment sewing to re-size them from ~ 3x to L… Have a great day! Hear you Marg. I never liked what I sewed for myself because I was 100 lbs overweight. I lost over 95 lbs 2012-2014. I made some clothes that were a little too big but I still had a tummy roll and bat wings. RTW was the answer then. Well now I have gained back 50 lbs and the smaller RTW don’t fit. Back to sewing again! I’m sure this Blanc Tee will be the ticket since I need some clothes. I decided to embrace the bat wings since it is a hereditary thing. The idea to use a woven for the front is a good one.